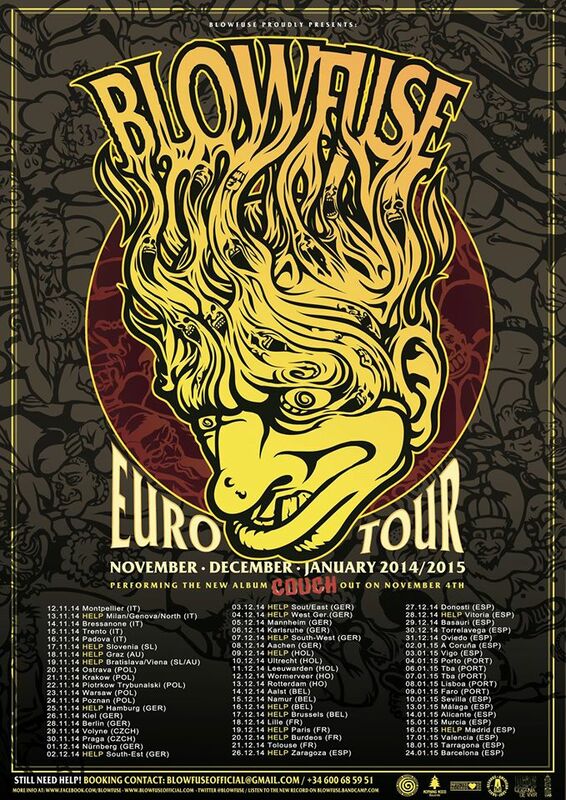 To support the release of their upcoming EP “Couch”, Blowfuse will be doing an European tour from November 12th til January 24th. The band will be playing shows all around Europe and still have a couple of dates open. If you can help them in any way possible please contact us or directly message Blowfuse at their Facebook page over here. “Couch” is set to be released on November 4th and will be available on CD and vinyl. Pre-orders are coming up shortly in the Morning Wood store shortly. ← A new track from Hoist The Colours!